Bananas contain three natural sugars – sucrose, fructose and glucose combined with fiber. A banana gives an instant, sustained and substantial boost of energy.Research has proven that just two bananas provide enough energy for a strenuous 90-minute workout. No wonder the banana is the number one fruit with the world’s leading athletes. 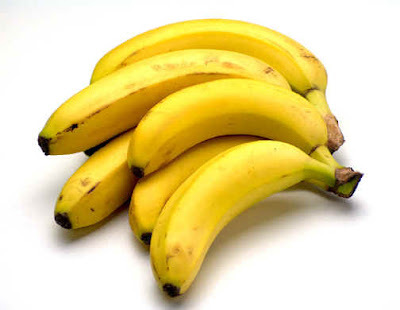 Nerves: Bananas are high in B vitamins that help calm the nervous system.Overweight and at work? Studies at the Institute of Psychology in Austria found pressure at work leads to gorging on comfort food like chocolate and chips. Looking at 5,000 hospital patients, researchers found the most obese were more likely to be in high-pressure jobs. The report concluded that, to avoid panic-induced food cravings, we need to control our blood sugar levels by snacking on high carbohydrate foods every two hours to keep levels steady. Smoking &Tobacco Use: Bananas can also help people trying to give up smoking.. The B6, B12 they contain, as well as the potassium and magnesium found in them, help the body recover from the effects of nicotine withdrawal. Stress: Potassium is a vital mineral, which helps normalize the heartbeat, sends oxygen to the brain and regulates your body’s water balance. When we are stressed, our metabolic rate rises, thereby reducing our potassium levels.. These can be rebalanced with the help of a high-potassium banana snack. 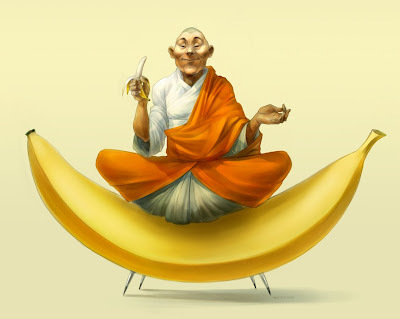 "A banana per day keeps the doctor away!"